I don’t know how it works in your home, but in ours, the garage is the collector of all things that we don’t quite know what to do with–boxes of stuff meant for Goodwill. Holiday decorations that haven’t made it back into storage. Half-completed projects. Stacks of scrap wood. 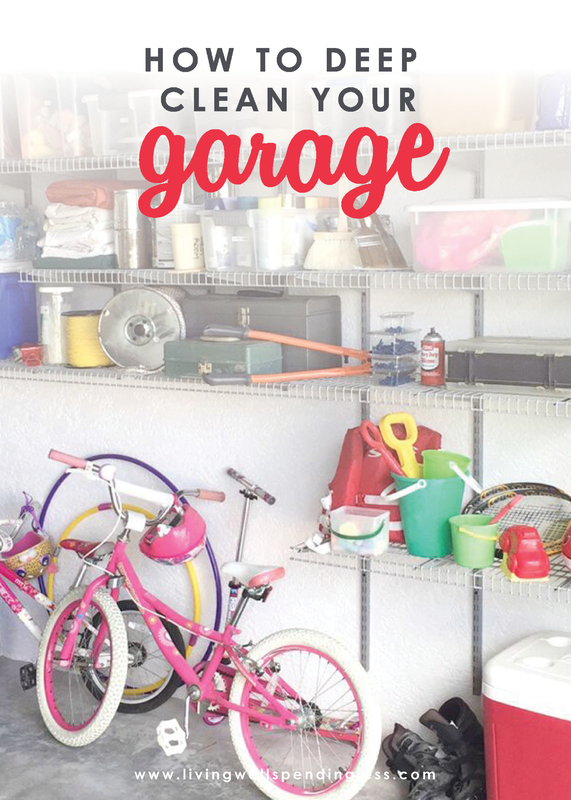 Start decluttering your garage and home with our Clutter Free Cheat Sheet. 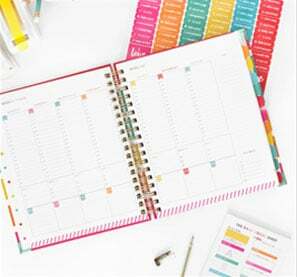 Simply click the button below to get your Clutter Free Cheat Sheet delivered straight to your inbox! It’s the one space in the house that we can shut the door to and just forget about, and so, often times, we do. But the mess is always there, lurking in the background, haunting us. And as much as we want to pretend it doesn’t exist, a messy garage can be a huge source of stress. In fact, after 11 years of struggling with it, fighting over it, hiding it, complaining about it, and pretending it didn’t exist, we finally decided we just couldn’t take it anymore. Enough was enough! We enlisted the help of Closet Maid, who took it upon themselves to document the whole process as part of their new web series called States of Organization. It was a pretty fun–albeit exhausting–process! And you know what? Getting it clean really wasn’t as bad as we feared it would be, and it didn’t take nearly as long as we thought it would! Organizing and deep cleaning your garage might seem overwhelming, but if you attack it with a plan, you can probably do the majority of the job in just a day or two. Pick a day when weather is on your side and pull everything out of your garage and into your driveway or yard. It can seem productive to tackle a corner at a time, but honestly? Just getting everything out will help you assess what you have, take note of the grime level, and stay motivated to keep too many things from returning to their old spots. Gather a ready supply of towels, a bucket, a broom and cleaning spray. You may also want to keep a measuring tape handy and some big, strong garbage bags or bins for sorting items. Start by wiping down or hosing off anything dirty or dusty. 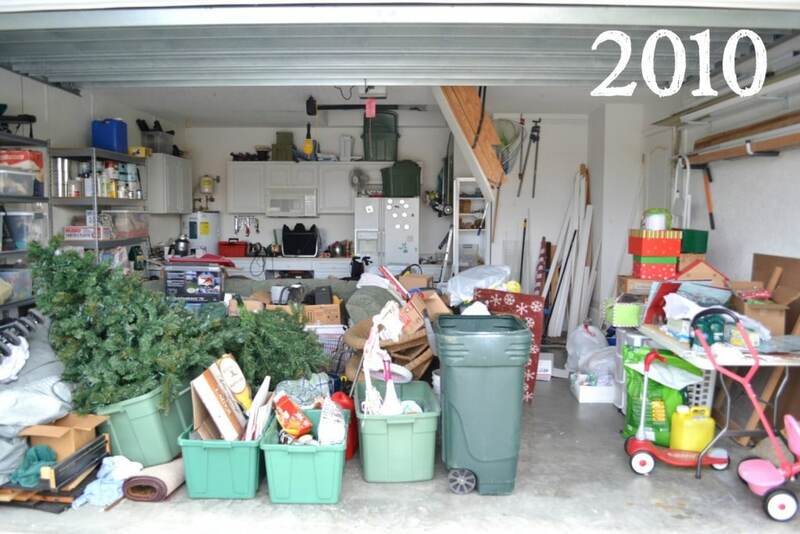 Once everything is out of the garage, it’s time to start sorting everything into piles: keep, donate/sell and eliminate. Purge once, then go back through the keep pile and purge again. Ask yourself if the item is something you’ll use again or something you’ve used in the last year—be realistic and honest. Holding onto those rollerblades because you think your kids might want to use them or that tennis racket that needs to be re-strung? These are the types of things that create clutter. There are many sports stores that will buy back equipment or sell it on consignment. You may even make a nice little profit that can be put towards something the whole family will like. When it comes to tools, consider what you use frequently and what can be borrowed or rented. 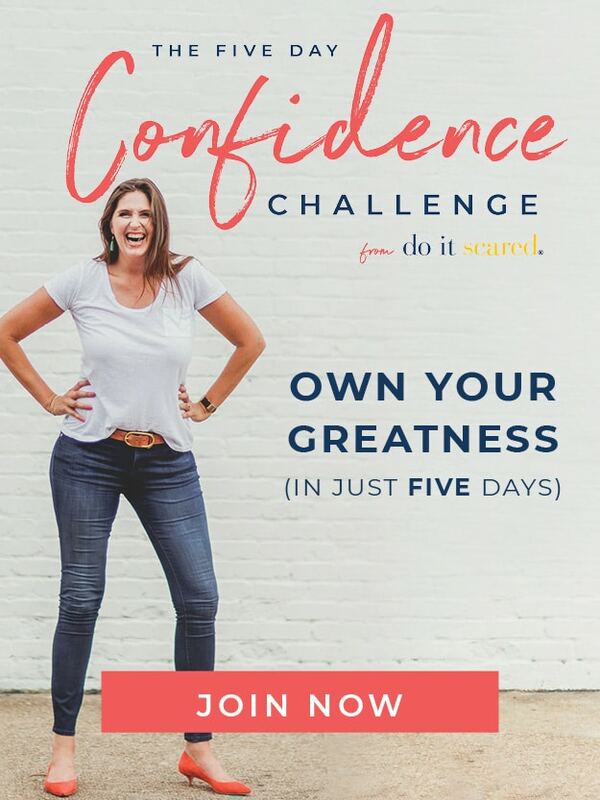 This is a difficult one, because many of us (and many husbands) fancy ourselves to be “Bob the Builder” or “Rosie the Riveter” and tend to hoard tools. If your husband is indeed a handyman, and especially if it’s a hobby, then by all means, let him keep a tool bench/workstation area, but keep it organized and useful. Broken items or items rusted or past their prime can be tossed immediately. Give yourself permission to let go and stop keeping things in hopes that one day you’ll get around to repairing them. If you’re a gardener, keep one, rust-free version of each tool you frequently use. Toss seeds over a year old (most will not grow past that time and pests LOVE them), and be sure all pots and planting items (including tomato cages, hoses and gardening decorations) are clean and free of dirt and moisture before stored. Car repair items and cleaning supplies should be assessed for usefulness and potency. Some car fluids do expire, so keeping them might create a fire hazard. Always get rid of any oil rags and don’t allow them to pile up, as they’re combustible. Chemicals, paint and other items that have outlived their usefulness should be disposed of using the proper channels. Contact your local recycling and waste management or municipality to find out how to safely dispose of chemicals in your area. 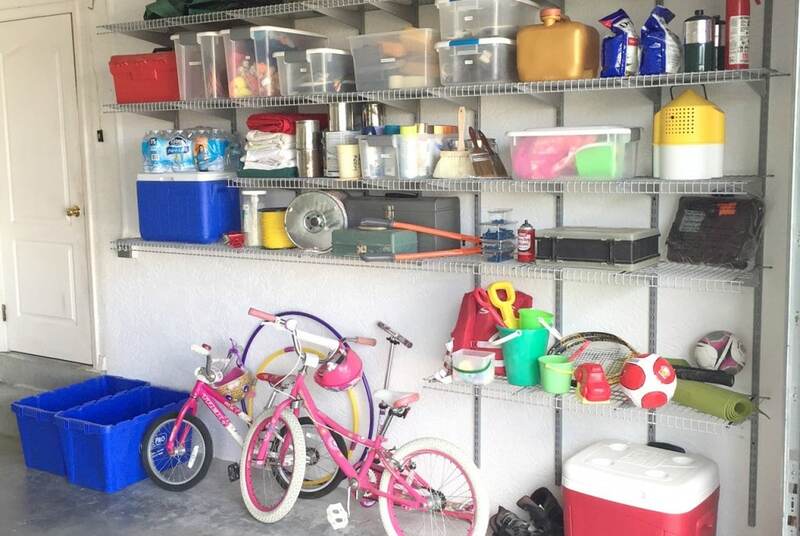 Depending on what you have in your garage and what you need to store, you may be facing some interesting storage dilemmas. 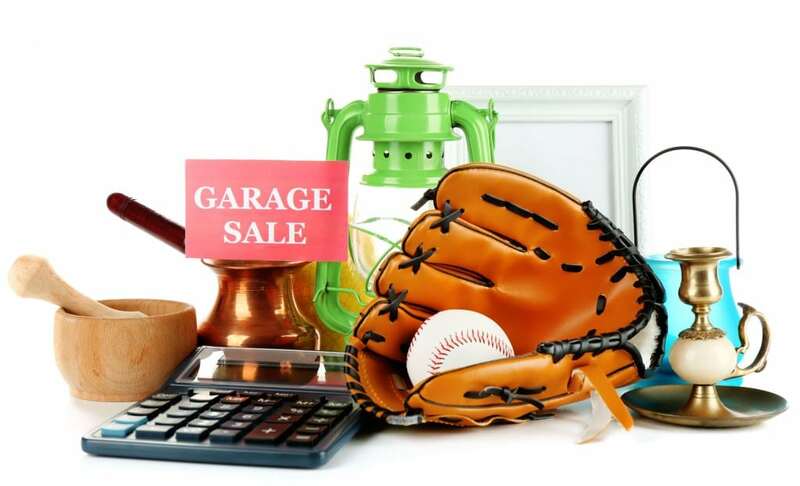 It seems that nearly EVERYTHING in the garage is oddly shaped—it’s either very, very large and bulky (such as weed trimmers, chainsaws or sports equipment) or very, very small and easy to lose (like nails, screws, bits or gardening markers). While working with Closet Maid, we were introduced to their heavy duty garage storage system, which is awesome! The wire shelves allow for air flow (important in Florida! ), they are easy to install, and the shelves are adjustable so you can reconfigure them any way you want. For tools, we have found that a collection of bins works well; many other organization experts recommend using a pegboard over a workbench. Small, clearly marked jars work well for sorting various odds and ends that go along with your tools. 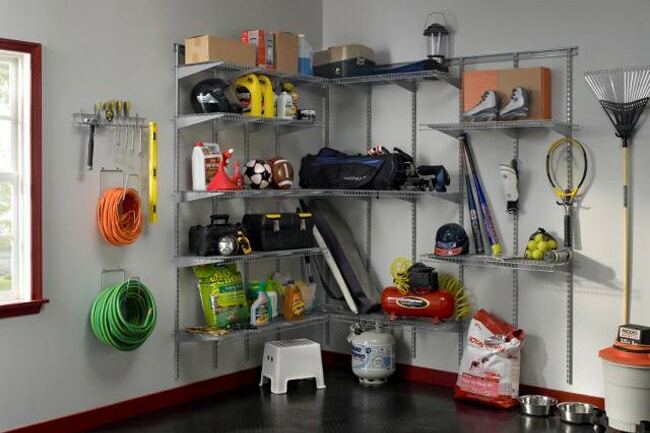 Larger items like saws and electrical tools can be stored in shelving. Toolboxes should be kept off the floor and away from moisture. Think about the storage options you’ll need and assess what you have on hand. Assemble all storage containers and hooks and get them ready to house your remaining, now-clean garage equipment. Garages bear the brunt of the harshest weather. Often they’re not heated or cooled and temperature fluctuations and moisture tend to cause mildew, cracking leaks and other issues. Since most of us don’t spend ample amounts of time in the garage, many of these issues can go unnoticed until they’re difficult to repair. With everything out of the garage, really survey any areas that might need to be fixed or touched up. Seal any cracks with spray-in foam or sealant and consider spraying on a protective coat of LeakSeal or other flexible coating. This is also the time to check out the wires around your garage and make sure nothing looks chewed on or presents a fire hazard. Look at anything that might be exposed and call a professional if needed. Clean the gutters around your garage and be sure to look for signs of water damage. This is also a good time to check lighting, locks and seals around your windows. You want to ensure not only weather protection, but protection from intruders. Put that broom to use! Put on a mask. (Garages can house mouse droppings, bugs, chemicals, and all sorts of things you don’t want to breathe in.) Thoroughly clean out all of the corners, wash down the walls, and make sure everything is dust free. This will prevent all of that dirt from tracking into your house later. Not all of us are ready to put in epoxy floor coating in the garage, but if you’re able, it’s an investment that will really help make things feel more “finished.” If you have oil spills on the floor, kitty litter works wonders for soaking it up and keeping the floor looking its best. 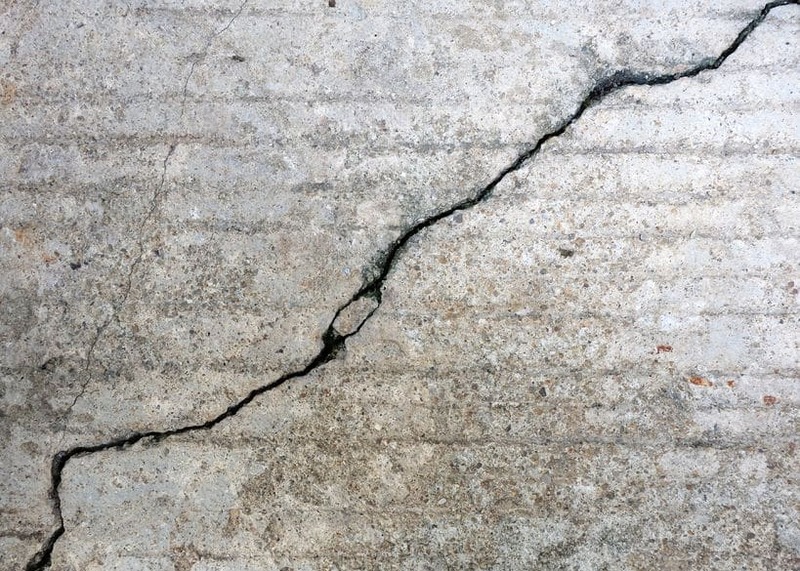 Consider putting down an inexpensive garage floor protector or even a piece of indoor/outdoor carpeting or rug to protect from future damage. 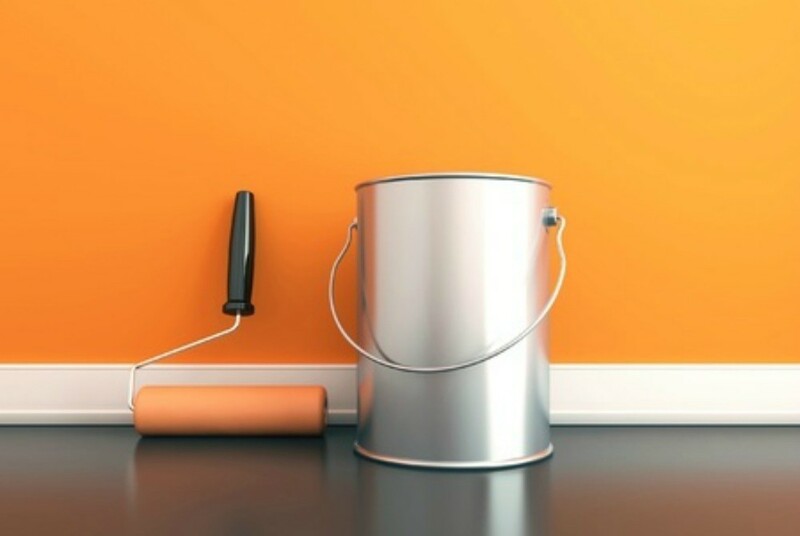 A simple coat of latex paint in white will keep things fresh and help prevent mildew as well. Caulk around the windows and caulk any cracked or leaking seals. You don’t have to sew curtains or put up wall decals, but if you feel inclined to add a simple decorative touch, it may help you feel more of that “extension of your home” mentality and keep things clean in the future. 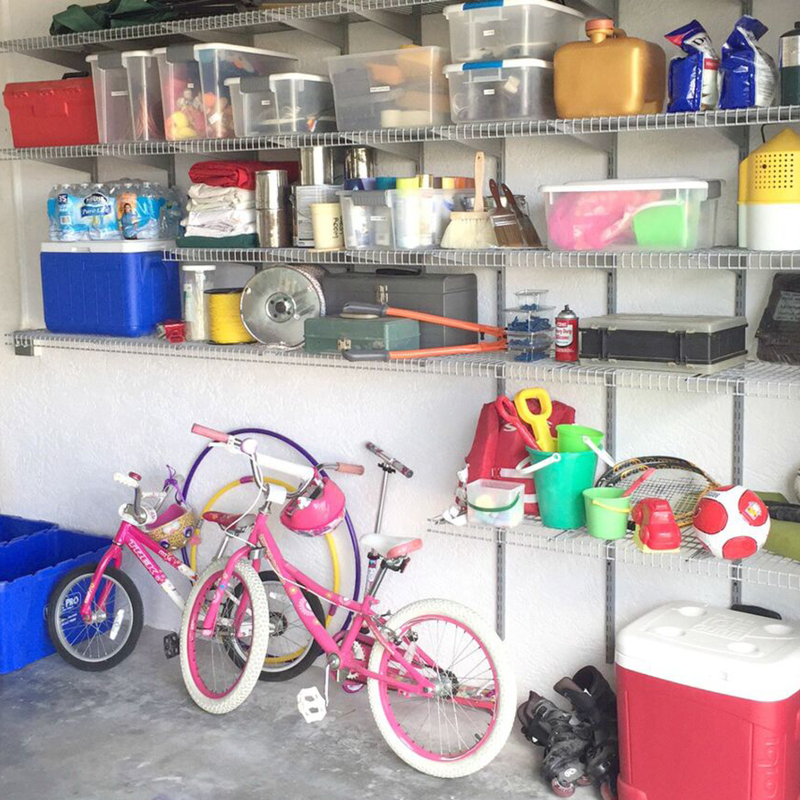 Now that you have a beautiful, clean and fresh garage, put the necessities back in place and organize your areas—tools, sporting goods, car repair, storage (in a few clearly marked bins) and gardening. If you store your trash and recycling in your garage, be sure you keep things in bags, tightly sealed and closed to prevent odor and varmints. Keep a mat or paper under the can in case of spills. Hose out your trashcan monthly and sprinkle with baking soda to help prevent smells from wafting throughout the garage (or into your house). With a clean garage, you’ll find you may even start to enjoy doing things outdoors more often. You may revisit hobbies or feel more inspired to garden or work on projects. 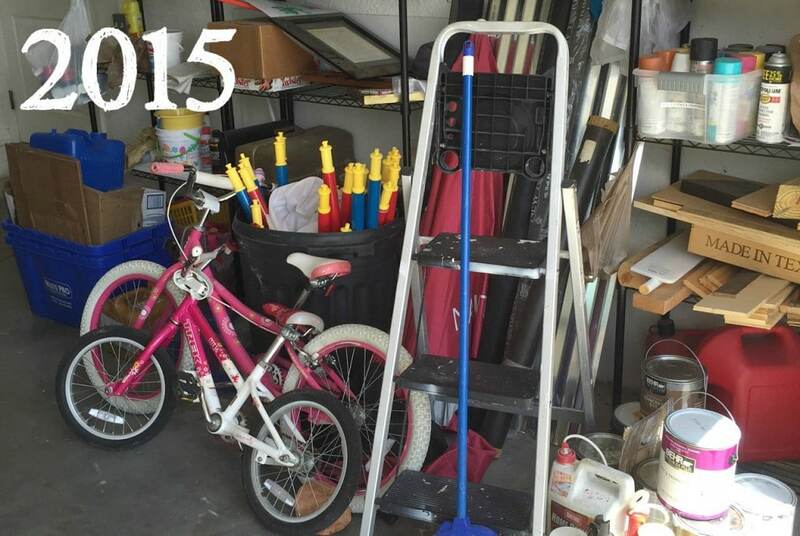 Deep cleaning your garage can be surprisingly inspiring and motivating! You may even be so excited that you want to make a video of parking your car in it for the first time in 11 years! In the end, while the task may seem daunting, the rewards are well worth the effort. Not only will you save money and keep your house cleaner, you’ll also protect your investment in your car, bikes and other items because they’re stored in a clean, dry environment, and finally be able to work on new projects that you never had the space for before. We don’t have a garage, but we do have a tool shed that is out of control! Not only does it have our stuff, it also has stuff the previous owner left in it. Thanks for this post. It has inspired me to get in there and clean it out! I moved two months ago and my garage is now full of everything I don’t know what to do with. I can’t even lie and say the garage in the previous house was organized *blush*. But here the floors are cracked, the roof leaks, and the cement/paint job is awful. I guess I have my work cut out for me, so thanks for inspiring me to get started this weekend. However, I think I will need to tackle one project step at a time because it’s such a big job. I don’t have a garage of my own yet but I am taking notes! We cleaned our garage and added a couple shelves by the garden bench just this last weekend. It’s so much nicer to work in there when it is organized. Also happy that there is plenty of room for our car as there have been several storms with hail in our area the last two days. What I have learned is that we expand into empty spaces. We have a two car garage – but it was built in the 1920’s. Our mid-size SUV doesn’t fit in there, while our smaller one will. So we have one bay that expands, and expands, and expands. What we really should have done is declared what that space was for – for example, set up a shop for my husband or a play area for the girls for when weather is bad (it often is). That’s aside from the general organization concept listed here – we still need to do a better job culling through our items and choosing storage solutions that work for us. That was my thought too, Kristen. I have spaces designed for something in particular, but I have cluttered stuff into it and no longer use it for it original purpose (like my closet, oops!). A garage is the perfect example of this. Otherwise you end up with a GREAT play area, but no place to park your car. I think deciding beforehand what to use the area for is a great way to avoid regret or frustration later. I LOVE the video. I have to say this is probably one of the more interesting and entertaining posts in along long time. I was a very heavy follower back in 2010 and it was great, loved the videos, loved your shopping trips and tips/recipes. Glad to finally see something good on here, it’s been quite boring and i’ve lost interest. I am sorry to say but it has become a very boring read. Really wish you’d do more with your shopping trips, etc. those were so fun to read and watch! Your garage looks amazing! My husband put down an epoxy coating on ours, and it really helps. Having a clean garage is challenging, but so refreshing! We moved two years ago and I have just now gotten past feeling overwhelmed in getting the garage and attached workshop organized.. I lined up a local women’s shelter who picks up things for donation,and put a call into my trash hauling service to see what they charge for a bulk pickup. I committed to both for a specific day so I would be sure and finish what I start. I have now been working all week and am so excited to see the finish line in two more days. I know I will keep looking closely at what to keep and what to toss from now on, and still improve on what I’ve created. Great post. I have to agree with your comments regarding painting the garage floor with epoxy paint. We did this and it really brightened up the garage and made it feel more like a comfortable place to be. Thanks for writing! Are there any tools that can vacuum up dust and webs from the walls and floor of a garage? Sweeping i s too hard for me . At 87 I need some answers to make it easier. Thanks. You have got some amazing talent. 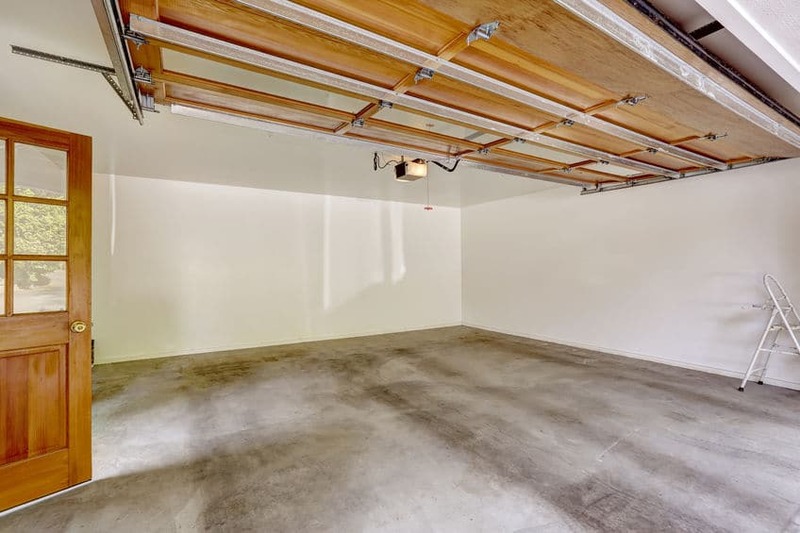 Thank you for sharing your creative deep cleaning ideas for garage.